In a special interview during E3 , DayZ creator and lead designer Dean Hall sat down and answered questions submitted and voted on by the r/DayZ community. Reddit user DrBigMoney compiled the questions and sent them around to media outlets, and VG24/7 managed to get Hall on camera to answer. Since r/DayZ is one of the most active segments of the DayZ community, the questions all concern hotly anticipated and wished-for features as the wildly successful Arma 2 mod transitions to becoming a standalone game. One of the earliest questions tested Hall's devotion to the survival-horror theme: will suicide be allowed? Clothing and equipment degradation: being injured will damage clothing, and walking will damage shoes. Walking without shoes will cause injury. Random public game events: the team doesn't want to manufacture anything in the game, so what happens in the game will be caused entirely by players. Barricades: barricades will be included, but they aren't implemented yet. Safe zones: zombies will not respawn once they've been cleared from an area, but wandering zombies will reinfest a zone if it isn't secured. Players who jump from server to server will be warned and then stopped. The DayZ standalone version is currently in development. 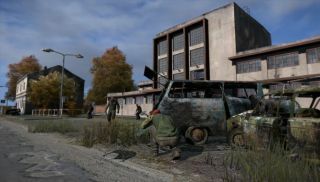 We recently covered news of diseases in the world of DayZ and explored some footage of the new game.